In which movie do anda want to see Ed? With which actress do anda want to see Ed in movie? 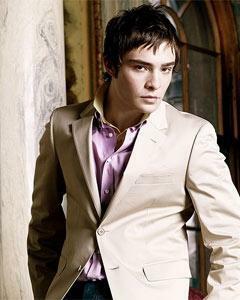 Do anda think Ed is the most talented on Gossip Girl? pilihan fans: Of course! Nobody is better than him! Did anda meet Ed Westwick? 3. Because he can pull off berwarna merah muda, merah muda and purple. This is an interview with Ed diberikan oleh Teen Vogue! 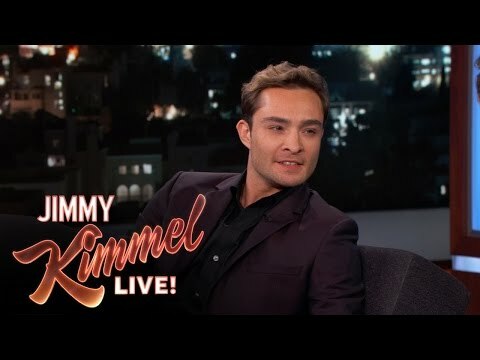 As tempting as it might be to mistake Mr. Edward Westwick for a real-life version of his on-screen alter ego—almost everyone knows he plays Gossip Girl's always-entertaining Chuck Bass—the actor (who simply goes oleh "Ed") is quick to insist that any similarities between them are purely superficial. "We look the same," he says, "but that's about it, darling." Well. As anda may figured, I have a celeb-crush. On who? That's a silly question. Ed is the type of guy that doesen't just, pass anda oleh like that. He's so much more. The rich badboy during the day, the filthy leadsinger of an underground band during the night. And why is it that we are attracted to him? He hasen't got the traditional good looks, like his bromance Chase Crawford, atau the dreambody, atau hundreds of billions of dollars, but what he has, is extra-ordinary. So, gratulations Ed, you've got tons of girls falling for you, and I'm one of them. Nearly a tahun after sexual assault allegations were raised against Ed Westwick, the Los Angeles County District Attorney has decided to decline prosecuting the star.